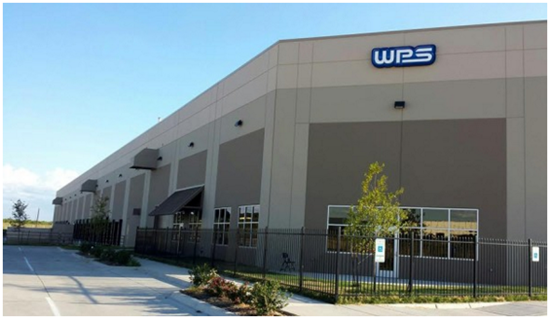 ​​​​ MIDLOTHIAN - WPS (Western Power Sports Inc.) has announced the opening of its sixth distribution warehouse in the United States, located in the Dallas-Fort Worth area. The new 180,000+ sf Texas warehouse facility is the newest addition to WPS’ five current locations in Boise, Idaho, Memphis, Tenn., Fresno, Calif., Elizabethtown, Pa. and Ashley, Ind. “With the Dallas-Fort Worth area being a regional center for distribution facilities, it was clear we should choose this metropolitan area. Not only will we be able to better serve our mid-south dealers, but we’re also proud to be able help the community of Midlothian by bringing new jobs to the area,” said WPS President Craig Shoemaker. ​Free data? See Industrial in Dallas-Fort Worth Market Research​.